Reserve your seat for a conversation with Claudia Rankine and Dave Lucas, Ohio Poet Laureate. This program is made possible, in part, by Ohio Humanities, a state affiliate of the National Endowment for the Humanities. Any views, findings, conclusions or recommendations expressed in this program do not necessarily represent those of the National Endowment for the Humanities. Studio 105, 1470 E. 105th St.
*Doors open at 6:30p. Refreshments will be provided. Join us at the 20th Annual Teen Poetry Slam! Hosted by Heights Libraries and Lake Erie Ink, and centered around the themes of the NEA Big Read book, Citizen: An American Lyric by Claudia Rankine, the slam is open to all high school students. Poets should have 3 poems ready to perform for a panel of guest judges. Email teen@heightslibrary.org to register, or just come watch and support! Selected as the NEA Big Read 2019, Citizen: an American Lyric was the winner of the 2014 National Book Critics Circle award for poetry. 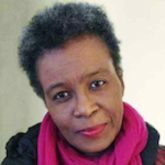 The book, written by Jamaican-born author Claudia Rankine, exposes modern American racism with poetry, commentary and visual art. Adrienne Gosselin will facilitate the discussion. Dr. Gosselin is an Associate Professor of English at Cleveland State University where she specializes in African-American Literature and Culture and Black Women's Studies. Copies of the book will be available at the Bertram Woods Circulation desk one month before the discussion. Auditorium Explores the history of racial inequality in the United States, focusing on the fact that the nation's prisons are disproportionately filled with African-Americans. Discussion will follow. Art & Literature Book Club is reinstated in February after a brief hiatus focusing on Citizen. We will have a Wednesday group (Feb. 13th and 20th) and a Sunday group (Feb. 10th and 17th), each meeting at 1:30pm. One meeting session will focus on a roundtable discussion of the book and the other session will include a gallery-based discussion of the museum’s Who RU2 Day exhibition with a focus on the work of Carl Pope Jr.
Join us for a multi-media exploration of themes from Citizen: an American Lyric by Claudia Rankine, the county-wide Big Read. Local community theater group Rising Phoenix will explore themes of race, racism and overcoming with poetry, drama, music, video and the visual arts. A discussion with the actors will follow the performance. 2-4 pm Saturday, February 9 and Sunday, February 10 "
Trinity Cathedral Book Club will discuss Cleveland's NEA Big Read book selection, Citizen: An American Lyric on February 12, 2019 at the Cathedral. Readers welcome! Experiential Writing Workshop using the NEA Big Read book, Citizen: An American Lyric by Claudine Rankine, as a jumping off point, attendees will explore the stream of consciousness style of writing to express their most poignant and provocative life experiences. Attendees will receive a personal journal to use during the class. Please call 261-5300 ext. 0 to reserve your spot. Reading Citizen: An American Lyric for our Tuesday evening discussion group on February 12, 2019 at 7:00 pm. 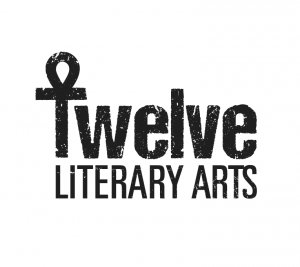 Karamu Arts Education will host a reading of original creative writing from youth grades 6-12 on Wednesday February 13th 6:30-7:30pm. A discussion linking the film to Claudia Rankine's Citizen: An American Lyric will follow the screening. The Great Decisions Program will be on Thursday, February 14, 2019 at 2:00 pm. We will read a related article for discussion TBA. Auditorium Citizen: An American Lyric by Claudia Rankine Using essay, image and poetry, Rankine addresses the individual and collective effects of racism in contemporary American society. Please read and come to discuss. Using the NEA Big Read book, Citizen: An American Lyric by Claudine Rankine, as a jumping off point, attendees will brainstorm poems in response to photo stills of recent events to share at an open mic portion of the evening. Please call 261-5300 ext. 0 to reserve your spot. You Can Be a Poet! Grade 4-8 Join us as we learn about different types of poetry and write a few poems of your own. Learn how to use writing prompts to jump start your ideas and find your voice! " Claudia Rankine’s Citizen is “one of those American art works that … teaches us to ‘no longer take things at second and third hand,’ as Whitman wrote, to ‘listen to all sides and filter them from yourself,’” wrote Dan Chiasson in The New Yorker. Rankine’s book-length poem confronts racial injustice through her own personal experiences. We’ll look at her poems as examples, write about social inequity in our own worlds, and discuss our poems in a helpful atmosphere. African American Read-In Heights Libraries Lee Road Branch Sun, Feb 24, 2 p.m. Celebrate the voices of African American authors. Bring a short selection from an African American writer to share, or simply be part of the audience. Co-sponsored by the FRIENDS of the Heights Libraries. For teens and adults. Registration recommended for readers, and opens Jan 24. Join Rozenia Cunningham, of Art It Yourself for this expressive workshop that will allow you to explore your creative inner self. Attendees will create and decorate keepsake experience boxes to store all the emotions you have never been able to express to others. Please call 261-5300 ext. 0 to reserve your spot. The Episcopal Diocese of Ohio and Music and Art at Trinity Cathedral present an exhibition of art works in the Promenade Gallery at Trinity Cathedral. The exhibition will feature works by a Cleveland based African-American artist. Each work will be representative of one of the vignettes featured in Claudia Rankine’s “Citizen: An American Lyric. Music and Art at Trinity Cathedral will present a free one-hour BrownBag Concert featuring vocalists Kristine Caswelch and Matt Jones accompanied by Nicole Keller, piano performing songs inspired by and associated with the vignettes presented in “Citizen: An American Lyric." As part of this year’s countywide NEA Big Read celebration sponsored through the Center for Arts-Inspired Learning, we will host this special book discussion of Rankine’s 2014 prose poem collection, winner of the NAACP Image Award and National Book Critics Circle Award in Poetry. Join us at Cleveland State for a roundtable discussion among faculty and MFA students about the impact of Rankine's Citizen in the field of literature, as well as its inspiration for their own creative work. Subjects of discussion will include the unique genre of the work, Rankine's poetic craft, and Citizen's influence upon a new generation of poets. Children begin to categorize people based on race, gender and social status at a very young age to make sense of the world around them. Parents may not feel comfortable talking to their child about social justice in public situations. Reading books about tolerance and diversity is a perfect way to start this conversation. This forty-five 45 minute story time features age-appropriate books with a social justice theme and includes a discussion time and related craft.